We are happy to announce our corporate-wide hardware update. 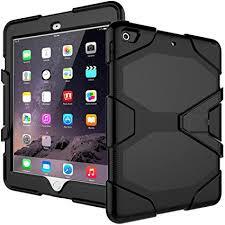 QCI will be using Apple iPad (6th Generation) for all field inspectors and project engineers/contract administrators. QCI's field inspectors will utilize the new technology with photographic and mobile documentation on site. Managers and Engineers will upload relevant project files in real-time for all users to access whether at home, in the office, or on site. The rollout will begin the end of April! We are very pleased and proud to announce new work awarded to QCI Group this year. These contracts, made possible through the efforts of great employees like you, mark the beginning of a great season. Through strong leadership, QCI Group remains one of Ohio’s great providers of inspection services. Click the link below to see a complete list.